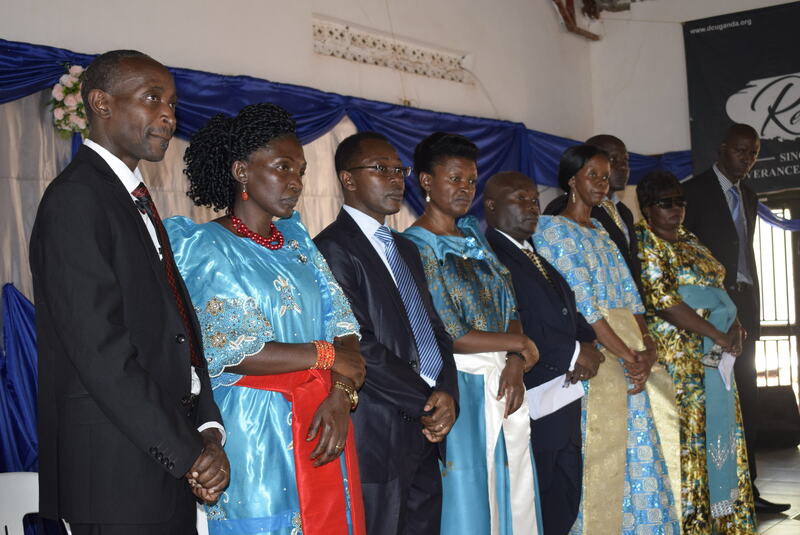 Home » Blog » Updates » PASTOR, ELDERS ORDAINED IN MASAKA. 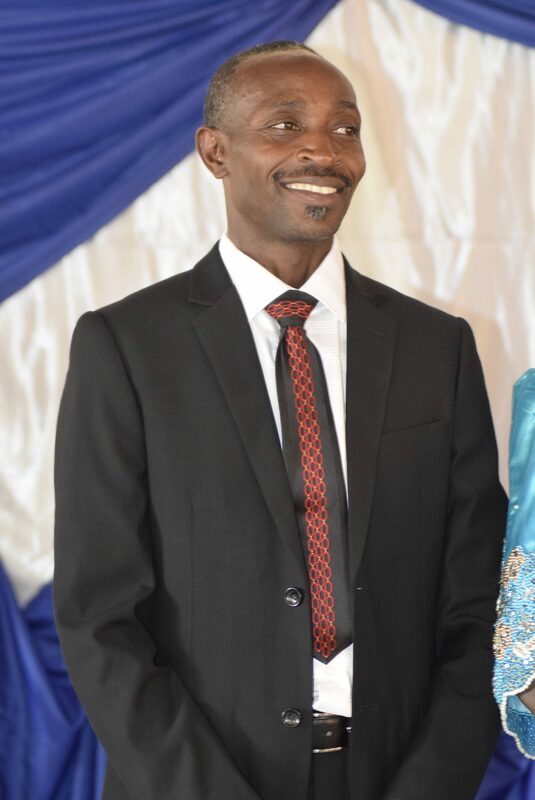 Deliverance Church Masaka’s Christopher Kasagga on the 31st of March was ordained as a full-fledged pastor. The function presided over by the General Overseer of Deliverance Church Uganda Pr. Edward Kiwanuka saw four elders also installed namely: Mr. Samuel Musoke,Mr. Steven Higenyi, Mr. Herbert Kaggwa and Mr. Francis Owor. The Church service attracted sections from other faith bodies who included the Resident District Commissioner Mr. Herbert Sentongo and the Masaka Municipality Mayor Godfrey Kayemba Afaayo who pledged offer more support to the body of Christ in Masaka. Inset above: Pastor Edward Kiwanuka-General Overseer Deliverance Church Uganda charging Pr. 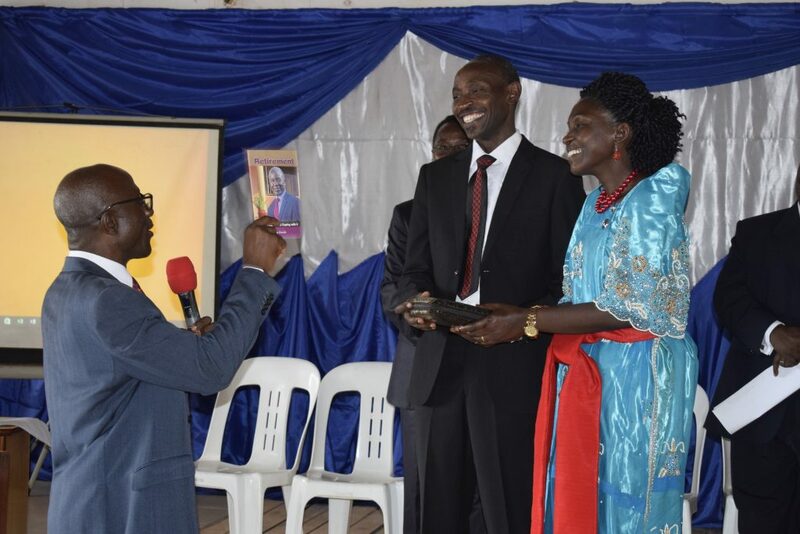 Kasagga upon ordination alongside his wife Alice Kasagga. • Descipling the Nations to further the agenda of God’s Kingdom. • Declaring the Gospel of Jesus Christ in our localities. • Demonstrating the power of the Gospel through signs and wonders. • Desperately seeking God through prayer and fasting. The message was in relation with the Deliverance Church Uganda Year theme from Mathew 6:10 “Let God’s kingdom Come”. 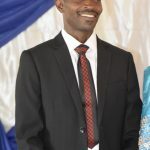 Deliverance Church Masaka serves as the regional base for the Masaka-Greater region which covers the districts of: Kalungu, Masaka, Lwengo, Ssemababule, Lyantonde, Kyotera and Rakai. Welcome to our website. Still adding a lot of content. Keep watching this space.